Thermalinc: Powerblanket™ Insulated Pipe Heaters! Save labor costs and downtime through easy installation, uninstallation and reinstallation. Protect down to -40°F / -40°C. Come in multiple lengths and diameters. Are certified to UL/CSA/CE standards. This heater is uniquely designed to operate at max output untill the pipe is thawed, and then cut the output in half to save energy. On the coldest days the heat is there if you need it. 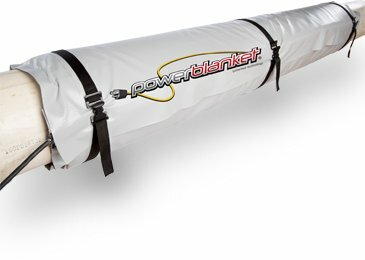 Powerblanket PRO Full Coverage Pipe Heaters!